What Exactly Is Laryngeal Paralysis? The larynx is located in the back of the throat and is made up of a collection of flaps and folds that protect the dog’s airway. In a normal dog, these flaps and folds are held open when the dog is breathing and close up to protect the dog’s airway when swallowing food or water. Laryngeal Paralysis is a condition in which the nerves that control the muscles to pull the folds in the larynx away from the trachea are not working properly. As the dog tries to breathe, these folds in the throat are partially or sometimes completely obstructing the dog’s airway. Needless to say, breathing can be very difficult for these dogs. We tend to see Lar Par more often in large breed dogs like Labrador and Golden Retrievers, though it has been seen in many other breeds as well. It is also typically seen in older animals. Early signs of Lar Par include increased panting (even when the dog is cool and calm) which may sound harsh or just louder than it used to be. Another sign could be a change in the sound of their bark (quieter or hoarser). These signs may progress to exercise intolerance, coughing or gagging when eating, and more labored breathing. As this condition progresses, we may start to see different neurologic signs as well, such as scuffing or knuckling of the hind limb feet, uncoordinated gait, and hind limb weakness. 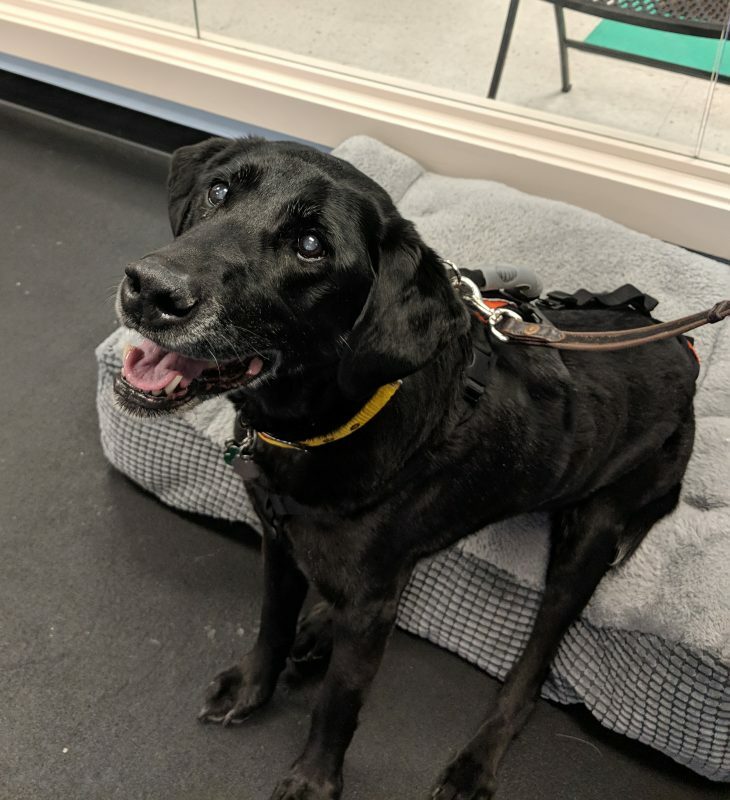 Because these neurologic signs are typically associated with Lar Par and we tend to see them in older dogs, this condition is becoming commonly known as GOLPP, which stands for Geriatric Onset of Laryngeal Paralysis and Polyneuropathy. There are options for treatment. One option is the surgical route with what is called a Tie Back surgery. Essentially, one of the folds of the larynx is sutured in such a way that the airway is always open on that side. This option carries the risk of aspiration pneumonia (meaning some particle of food or any other material that enters the mouth is breathed into the lungs causing infection) which can be serious. There are more conservative methods of treatment as well that include restricting exercise, weight loss, and anti-inflammatory medication to help reduce any laryngeal swelling. In a word: Yes! Rehab can help in many ways. Our goals focus mainly in the neurologic component of Lar Par or GOLPP. 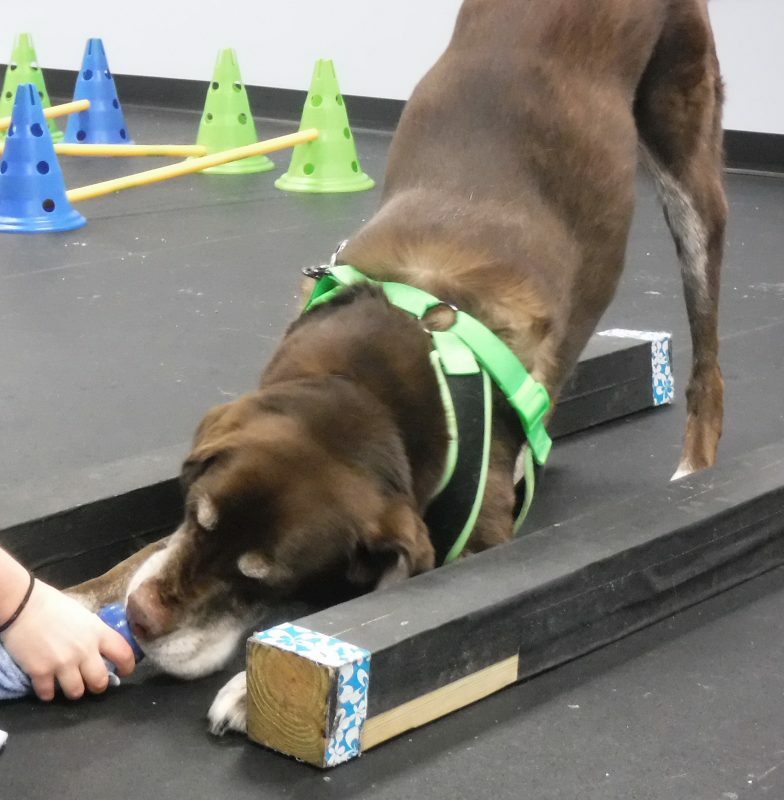 We want to help strengthen the hind limbs and increase nerve communication from the brain to the paws. This will help improve mobility and slow progression over time. We can use gentle, structured exercises that target specific muscles and also help improve body awareness. We would pick exercises that don’t require a large physical demand to avoid any breathing difficulties for our patients. We can also use modalities like acupuncture to help stimulate the body’s nerves and improve nerve communication while also providing pain management. Lar Par can be exacerbated by the weather. Warmer, more humid days tend to cause more trouble for our patients with Lar Par. They may be less active and may pant more heavily on these days. The best advice here would be to stay inside with the air conditioning running. They may also enjoy having a fan blowing on them to keep them cool. Elevated food and water dishes can be a good idea for these patients as well. Assistive devices, such as a Help ‘Em Up Harness, may be beneficial for dogs whose condition is a bit more advanced. A harness system can help give them balance support and assist them to rise or to climb the stairs. Lar Par and GOLPP sound like really scary conditions. But with the right tools in our belt, we can help them manage this disease and have a great quality of life.